One of the most wrenching decisions we ever make in life is leaving a long-term relationship that just isn’t working. When attempts at repairing and working out issues aren’t working, it may be time to examine moving on. We are emotional creatures, and when our hearts are tied to those of another, separating from that person can feel like an act of courage. It is not something most of us will take lightly, and many of us will struggle with our desire to stay in a relationship simply in order to avoid that pain. We may question whether the happiness we seek even exists, and we may wonder if we might be wiser to simply settle where we are, making the best of what we have. We may also almost think the idea that true happiness is not out there so that we can avoid the pain of change. On the other hand, we feel within ourselves a yearning to fulfill our desire for relationships that are vital and healing. Ultimately, most of us will follow this call, because deep within ourselves we know that we deserve to be happy. We all deserve to be happy, no matter where we find ourselves in this moment, and we are all justified in moving, like plants toward the light, in the direction that leads to our greatest fulfillment. First, though, we may need to summon the courage to move on from the relationship that appears to be holding us back. 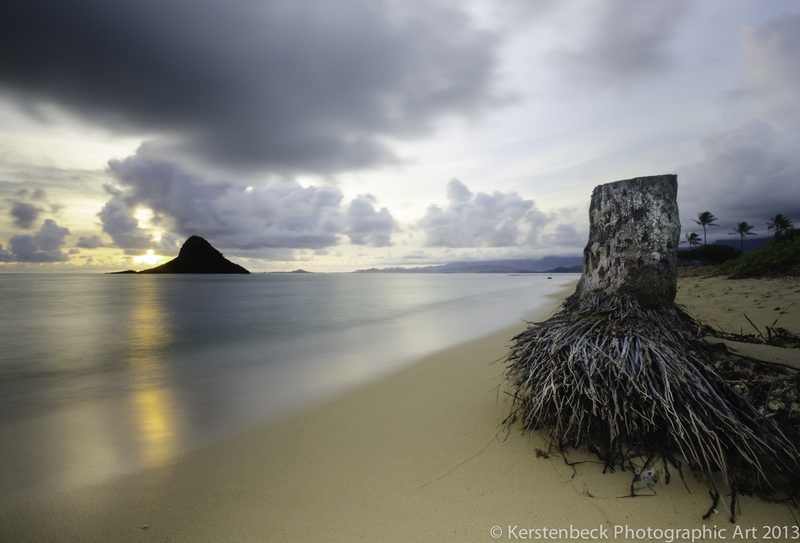 This was shot on the beautiful island of Oahu one early morning. Sunrises can be very dynamic with colors, temperatures and winds changing very rapidly so it is important to arrive early and scope the scene and compose your image. Using a sturdy tripod and a Neutral Density filter allowed a 30 second exposure which smoothed out the seas and gave a bit of blur to the clouds. Somehow this lone stump of a tree struck my attention as being symbolic somehow and now fits perfectly with the text of this post. To purchase a copy of this fine image, visit our Website where you will be presented with a multitude of choices and thank you for visiting! Continuing the Hawaii series, this morning I am reposting the sunset Erik captured on the beautiful island of Lana’i. Hawaii is known for the beautiful sunsets and in our travels to the islands, it is rare that we have not been able to enjoy one of them. 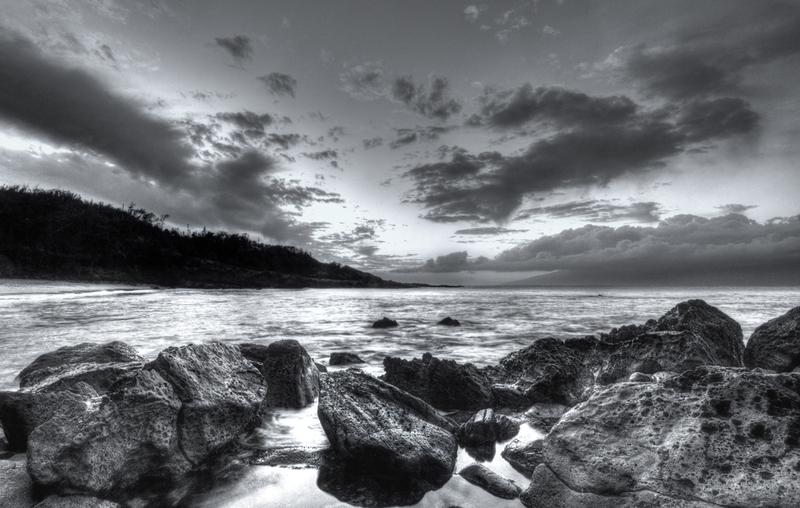 This was executed using a Nikon D7000 with a Sigma 10-20mm wide angle lens. We did not lug a tripod with us, so Erik scrambled amongst the sharp volcanic rocks to find the best composition and then find a stable place to steady the camera. Often you can capture great landscape images without a tripod (best to use one if you can) by just steady the camera with two hands against any solid perch – like a rock, stump, ledge, post etc. Always remember to take a deep breath then squeeze that shutter release slowly – kinda like shooting a Sniper Rifle! Please enjoy the colors and the beauty of all that god has to offer. Another day of the conference and one of the things that most love watching in Hawaii is how the waves “roll” over… they are quite beautiful, peaceful and you can honestly just sit & watch them all day long. 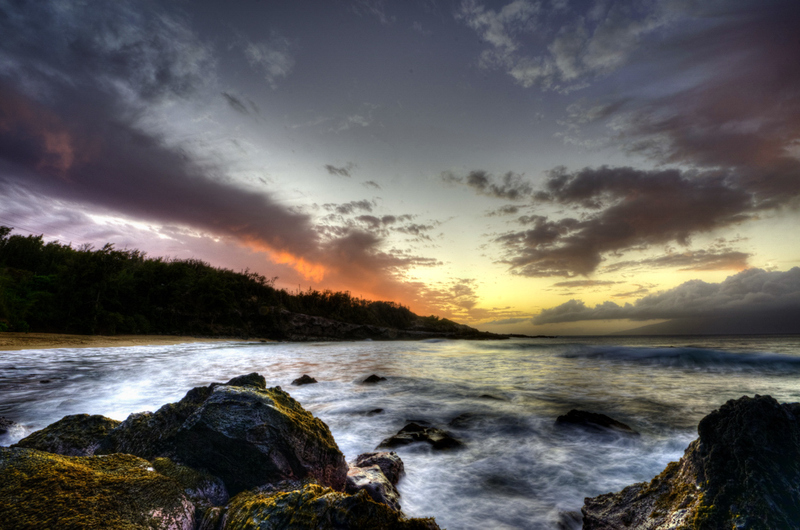 This shot was again taken in Maui by Erik, and he used the trusty Nikon D7000 mounted on a sturdy Manfrotto Tripod. 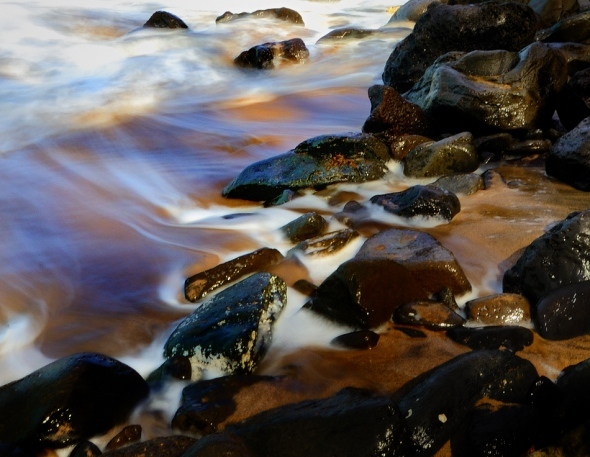 The silky texture of the in and outrush of the waves was achieved using a slow shutter speed. Although the light was quite harsh at the time, he screwed on a variable Neutral Density Filter to the lens which cut down on the available light to the sensor, allowing a slow shutter. For me, I love the colors that are coming through – just beautiful. Drop us a note if you would like to understand a bit more about neutral Density Filters and all the awesome things they allow your creative vision to attain. This Series of shots were executed recently during a visit to the wonderful Island of Maui. 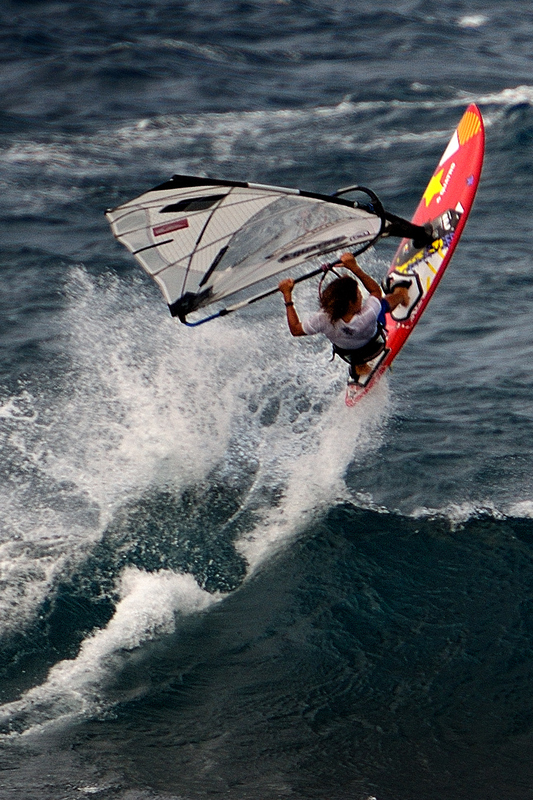 On the return trip from the twisty road to Hana (another post on the way), we noticed Sailboard action in Pa’ai Bay. The next day we stationed ourselves in a prime location to catch the action. The day started with Surfers, who were marshalled out of the water at 13:30 by three short blasts by the Life Guards. The Sail Boarders were prepping thier gear and waiting to go. Once the all clear was signalled, the fun began. The wind steadily picked up to close to 20 knots and the Sailboarders were all smiles! 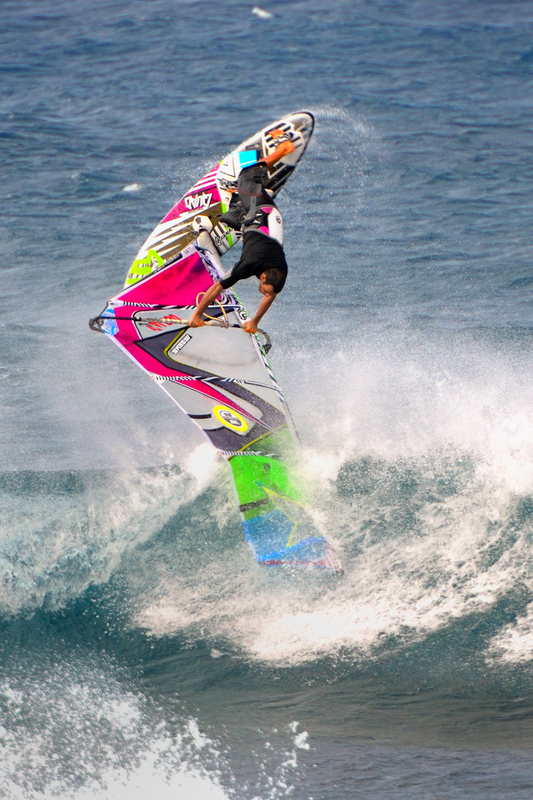 Although it may seem that these folks are crashing, they were actually doing flips off the waves with incredible agility and skill. What a sight to see! 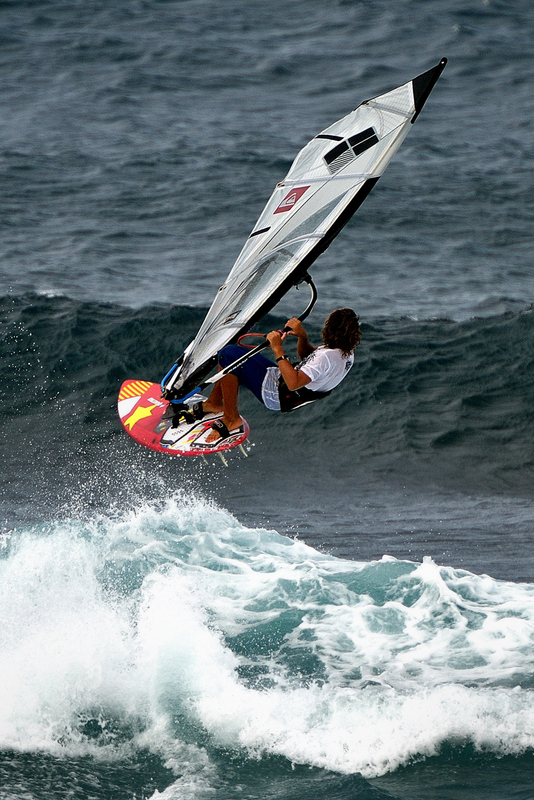 We are registered Off Shore Sailors and can appreciate the Windward, Leeward skills of the pros. We heard many nationalities – apparently many Europeans come to this location for the waves and the wind – how exciting! Das ist gut, Jah? Thanks for visiting our Humble Photo Blog! Please explore our other Posts and come back – we update all the time. We appreciate your comments and feedback – it makes us better! Photo Tip: Nikon D7000, 70-200mm f2.8, 2x Doubler, Circular Polarizer, Manfroto Tripod, about 500 shutter speed, lots of water and sturdy saddles! This was our first trip to the beautiful island of Maui. We have explored several of the other islands in the past, and this one has its own unique character (as they all do). We were staying just a few miles south and were amazed by the spectacular sunsets, something we only see in Southern California before or after a Winter Storm. 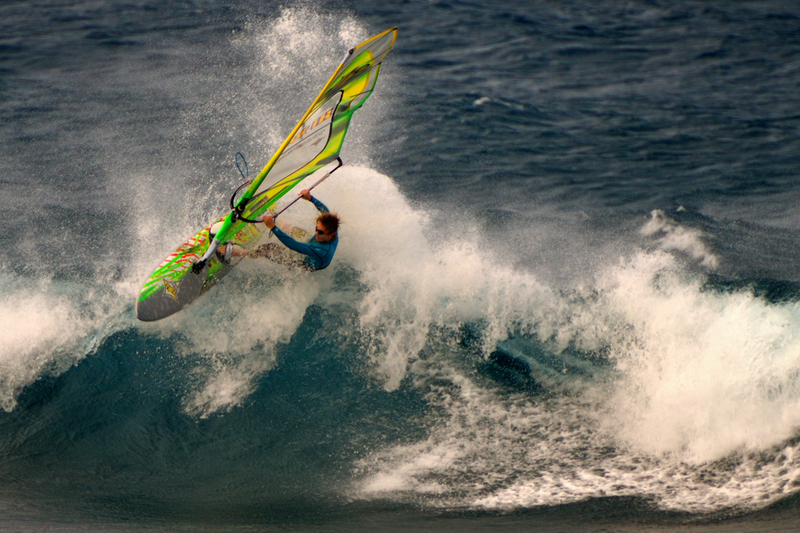 On the Islands, Windward conditions are often harsh, windy, rainy and lush with tropical goodness. Leeward is calm, warm and just perfect for snorkilng, or just hanging out. 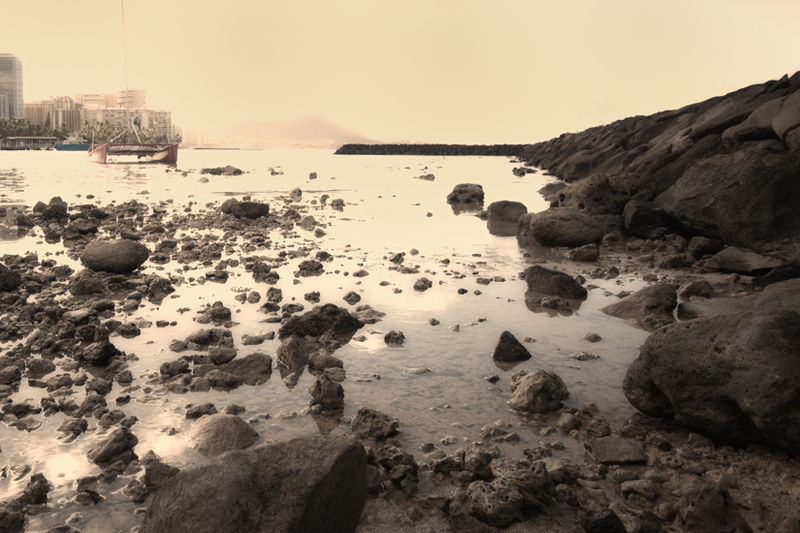 This image was composed after a visit earlier to scope the concept. We later returned next day when we saw clouds. When the sun sets, the entire spectrum of colour will appear. It starts with the yellows, transitions to oranges, purples and blues. (I could explain this in details as an Engineer – just drop an email). We scrambled over the Volcanic Rocks which are very abrasive and could cause severe lacerations, to find the one perfect image. The sun had almost set and it was getting dark for the trek back. Regarding Photography Tips, this was executed with a Nikon D7000, Sigma 10-20mm Lens, Singh Ray Variable Density Filter, Manfroto Tripod and random rock worthy flip flops! Thanks for your kind visit to our Blog – please feel free to explore and Please Comment! We Really appreciate your feed back – it makes us better!